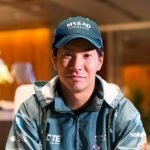 Japanese professional racing driver Kamui Kobayashi is the latest edition to the Formula E grid in season four. The 31-year-old is a very versatile driver as he successfully competed in several high-end racing series such as Formula 1, WEC and GP2. In the all-electric racing series, Kobayashi takes place in the MS&AD Andretti next to Antonio Felix da Costa and will – for now – only complete the first two rounds of the fourth season, which will take place in Hong Kong. Kobayashi kicked off his career in motorsports back in 1996 when he got his first experiences karting in his homeland of Japan. In 2004, the fast Japanese was able to impress Japanese car giant Toyota and joined their Driver Academy, and thus got his first taste of open wheel racing. The next few years took him through several of the national Formula Renault championships and he ended his Formula Renault-time on a high with winning both the Italian and European championship titles on 2005. The following year saw the Japanese proving himself in the Formula 3 Euro Series alongside drivers such as Sebastian Vettel, Paul di Resta and Giedo van der Garde. Due to his solid results, Toyota announced him as one of their Formula 1 test drivers at the beginning of 2007. Two successful seasons of GP2 Asia and a lesser impressive outing in GP2 brought him to his biggest career station yet: Formula 1. While he was already able to make his debut in motorsports “king’s class” in 2009, he had to wait a few more month before finally securing a full-time cockpit. In 2010, Sauber announced him as one of their drivers. During his three seasons in Formula 1, Kobayashi was able to set several highlights, the biggest being his third place in Japan in 2012. Even though the Japanese returned to Formula 1 in 2014 with Caterham, his time with Sauber remains his most impressive outing in F1. Following his first exit from Formula 1, Kobayashi joined the WEC field in 2013 before returning to F1 with Caterham just one year later. After his ultimate goodbye to F1, he joined the Japanese Super Formula in 2015 and WEC once again in 2016. While he is still waiting for his first big success in the Japanese Super Formula, he was able to celebrate his first WEC race victory 2016 6 Hours of Fuji. His Formula E debut in Hong Kong makes him the third Japanese in the all-electric series alongside Takuma Sato and Sakon Yamamoto.